Call a Lance Andrew Law Side Collision Attorney today! Among the most common car wreck situations are side-impact collisions, also known as T-Bone accidents. These types of crashes can occur in a number of ways, but they nearly always are the result of a driver not paying attention or being in a hurry to get somewhere. Protecting yourself from further harm by seeking out timely and competent medical attention after a side-impact car accident is critical to maximizing your recovery from accident-related injuries. Protecting yourself legally is also important, and the Lance Andrew Law Utah car accident lawyers are ready to help you through the process of dealing with the insurance company and obtaining fair compensation for your injuries. If you’ve been in a side-impact collision or T-Bone accident, call Lance Andrew Law today for a free consultation. 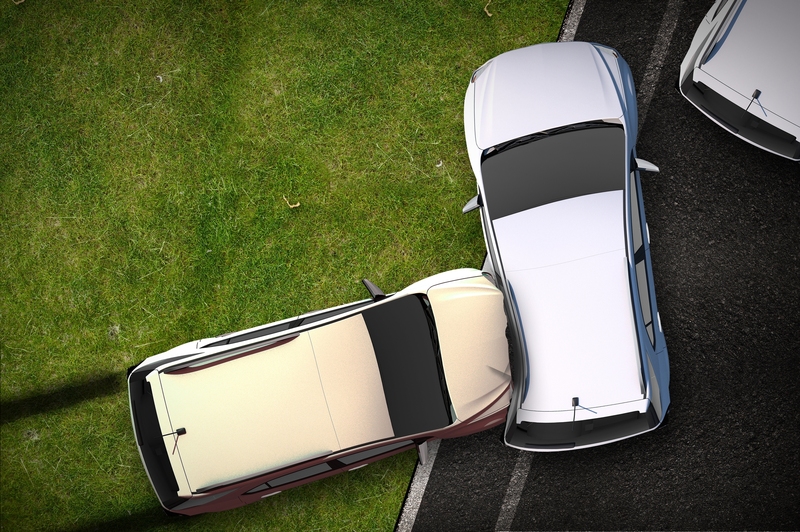 Side collisions can occur when a driver makes a lane change without seeing another car already in the lane, when a driver’s car drifts into another lane when the driver isn’t paying attention, and in many other situations. Some of the most serious side-impact car accidents occur when a driver runs a red light or stop sign and collides with the side of another car coming through an intersection from another direction. This is most commonly called a T-Bone accident because the cars create a T-shape as they collide as shown in the picture. Side impact crashes can cause unique and serious injuries. Side-impact whiplash injuries can be especially difficult for medical professionals to adequately treat, as the dynamics of the impact force the body, especially the neck and back, into positions that laterally stress muscles, tendons, and nerves. Side-impact collisions can also cause head, face, and brain injuries as the force of the impact can cause passengers’ heads to strike side windows. If you or a loved one has recently been involved in a side impact collision or a T-Bone accident, our attorneys can give you the personal care you need. In the wake of an accident, we will do everything possible to make sure you are informed, protected, and fairly compensated. Our expert side-impact collision lawyers will travel anywhere within the state of Utah to make sure you have the legal assistance you need. Our initial consultation is always free! You deserve competent, dedicated side collision attorneys who will give your case and the people involved the personal attention they deserve. We never hand off cases to paralegals or case managers, Dustin Lance or Jessica Andrews will personally handle your situation.